Over the last few years, a high-salt diet has been linked to various health issues ranging from hypertension to weight gain. However, a new study using mice has found that excess salt consumption leads to reduced blood flow to the brain, which may lead to dementia. According to the study, the mice fed a sodium-rich diet had a large number of white blood cells in their intestine. These cells, or lymphocytes, called TH-17 released a protein called IL-17 as part of the immune system function that protects the body from infection and inflammation. This apparently reduced the nitric oxide production in endothelial cells. Later, these mice were treated with a drug called ROCK inhibitor Y27632 that enabled the nitric oxide activity, and the mice showed improved cognitive behavior. Dr. Giuseppe Faraco, assistant professor of neurosciences at BMRI, said that the drug could prove useful in further research related to cognitive impairment. This study was conducted at Weil Cornell Medicine and authored by Dr. Costantino Iadecola. It is expected to help establish a link between an impaired gut and brain health in high-salt intake cases. Another research study conducted in China found that high sodium intake leads to oxidative stress, which is responsible for neurogenerative diseases. It suggests that excess sodium consumption negatively impacts spatial memory. The experiments, in this case, were conducted on mice and require more evidence to prove this aspect. So, while more evidence is required to explain the exact connection between excess salt consumption and dementia, along with the remedy, it is best to regulate the amount of salt you consume on a daily basis – especially sodium chloride. 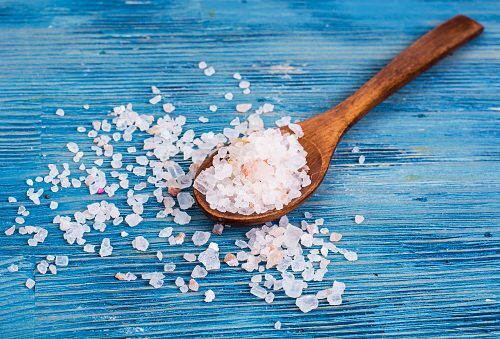 You can consider including other types of salts such as rock salt and sea salt, albeit in moderation. This will not only protect you from dementia, but also from hypertension and obesity. On the other hand, excessively low levels of sodium are just as harmful as they can make you disoriented or cause weakness, cramps, and seizures. This condition is called hyponatremia and it can be caused by underlying health conditions related to hormonal imbalance and dehydration. Hence, moderation is key. The standard amount of sodium recommended by the World Health Organization (WHO) is less than 2,000 mg or 5g per day. While it is fine to eat food with naturally present sodium, it’s important to avoid added salts.